Pioneer Locksmiths are specialists in key cutting.We are respectful and trustworthy key cutters, well known in the Auckland region for our accuracy and knowledge. We stock the largest range of key blanks in our area for house keys and automotive keys, as well as special keys for safes, motor cycles, boats, planes, machinery, elevators, power boxes, roller doors, coffee machines, etc. Equipped with a wide range of key cutting machines to program and cut your automotive, house and special keys. Program your transponder and immobilizer car keys (keys that contain a unique computer chip coded to your car). Tibbe keys particularly for your Ford and Jaguar cars. Laser / Track keys for some BMW, Mercedes, Holden and European car models. 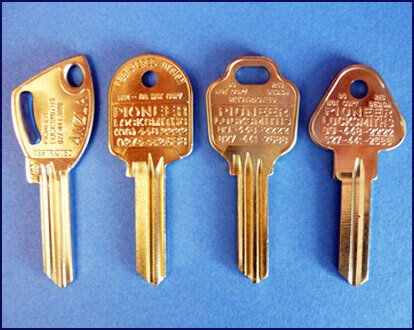 Mortise keys including extra long, side-cut skeleton keys and keys for safes. Pipe keys for old style cabinet locks. Tubular keys for some cam lock, gaming machines, computers, Harvey-Davidson motor bikes etc. Abloy keys for your NZ post boxes and Abloy padlocks. Key to code: Computer-aid key cutting-best for worn out, damaged or lost keys. Make factory standard keys from your worn out and damaged keys. Cut keys from your broken, worn out or after-market keys. 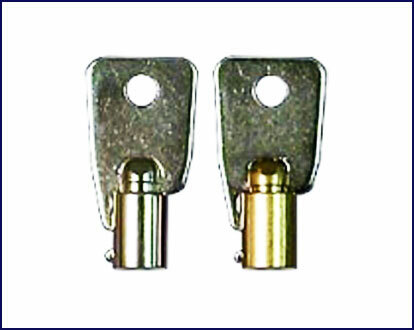 Copy steel keys for Juralco or other roller door lock. Cut AVA keys specific to Chubb locks. We can create keys from your lock if you have lost the last key; even for ski rack, cash register, coffee machine, lift etc. 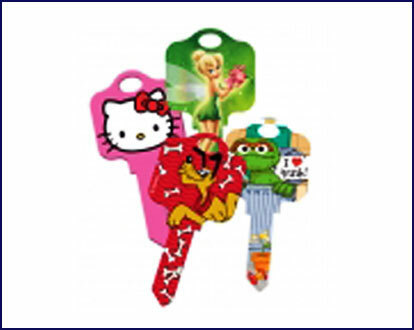 We also cut colour keys, licensed & art keys (Disney, Sesame Street, Happy Face etc), as well as genuine brand and factory keys.